Los Angeles – one of the most diverse and eclectic cities in the world. 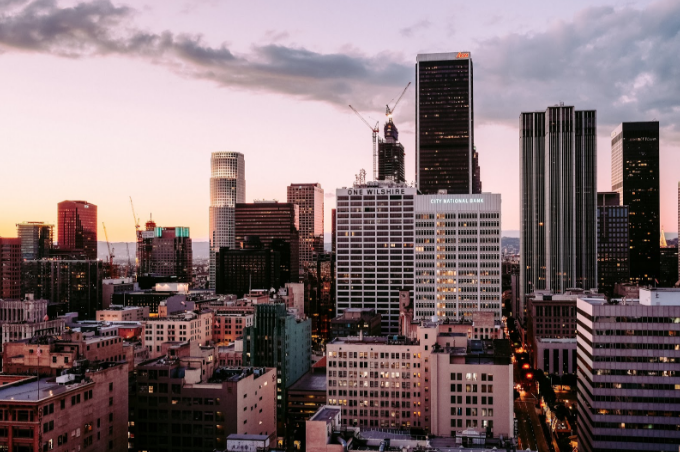 Not only is LA a bustling metropolis, it’s home to some of the best productions in music and film, accomplished artists, and is a major draw for both business and leisure travelers alike. In 2016 alone, LA hosted 47.3 million travelers, which is no surprise to those of us who’ve visited. 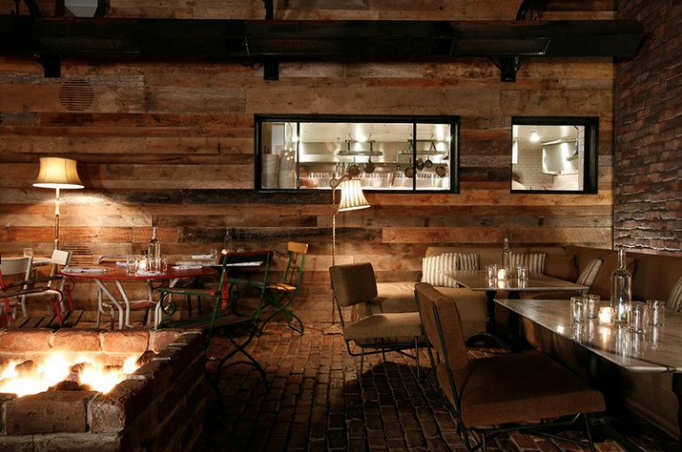 If you’re planning an upcoming business trip, try to carve out an additional 24 hours in Los Angeles. Not sure what to do with the time? Worldgo has you covered. If you don’t want to waste any time, make sure to get up early and make your way to Venice Beach. Take a stroll along the boardwalk, or rent a bike and enjoy a ride along the beach. This is the perfect way to start a day exploring L.A., with real California vibes. Stop off at Gjelina for a tasty breakfast, and a cozy place to grab your first meal of the day. The restaurant is well known as a local hotspot, and they offer some of the most delicious combinations. Try the Lemon Buckwheat Ricotta Pancakes with Blueberries. Yum! After filling up on a fantastic breakfast, make your way to LACMA (or the Los Angeles County Museum of Art). The museum houses some of the most brilliant works of art spanning from Salvador Dali to Frida Kahlo to Chagall. Expect to spend the rest of the morning here, it’s a world of its own! After strolling around LACMA, you’ve likely worked up an appetite. Make your way over to the Santa Monica Pier for more incredible views, great food, and relaxed vibes. Depending on the time of year, you may be able to catch free concerts, farmers markets, and other events. Take a walk along the golden sands, stopping off to fuel up at The Albright. Here you’ll taste sustainably caught seafood, fresh ingredients, and a stunning backdrop of the ocean. 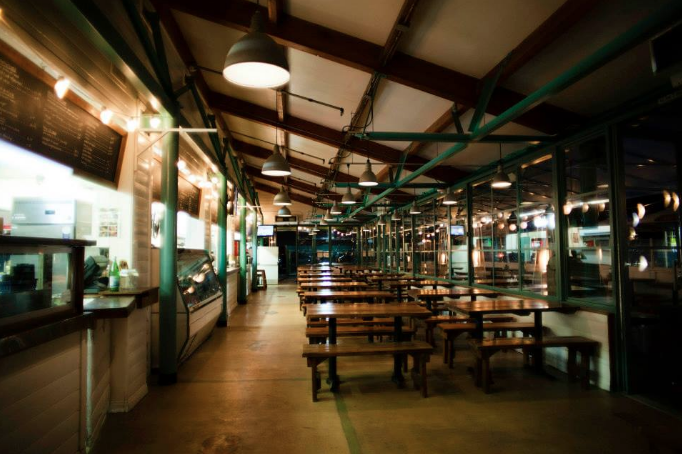 The atmosphere is friendly and social, and if you’re eating alone, the communal tables are a great spot to meet other travelers. After a tasty lunch, make your way to Marina Del Ray for an exciting adventure – Parasailing! You’re in California, and it is likely mandatory that you partake in a water sport! This will be an afternoon you’ll never forget because views like this can only be found in Los Angeles! Your thrill-seeking ways will likely leave you feeling a surge of adrenaline, so it’s time to head to Hollywood for great food and a great nightlife. 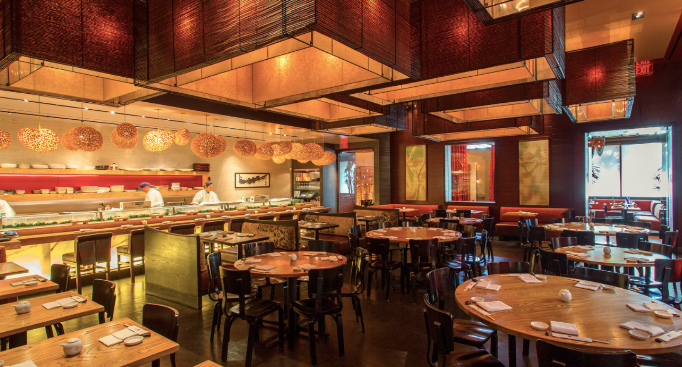 After you freshen up at your hotel, jump into a taxi and make your way to Nobu for some star-spotting and great food. Make sure to try the Truffle Teriyaki Beef, Green Tea Noodles and a mouthwatering dessert. If you’re planning ahead, make a reservation. You won’t regret it! After indulging your taste buds, stop off at the legendary Sky Bar for impeccable cocktails and one of the most breathtaking views of L.A. in the city. Try out one of their classic combinations like the Great Expectations or the Estella. Located on Sunset Blvd., you’re within walking distance or a quick taxi ride from some of the other top bars and clubs in Los Angeles. 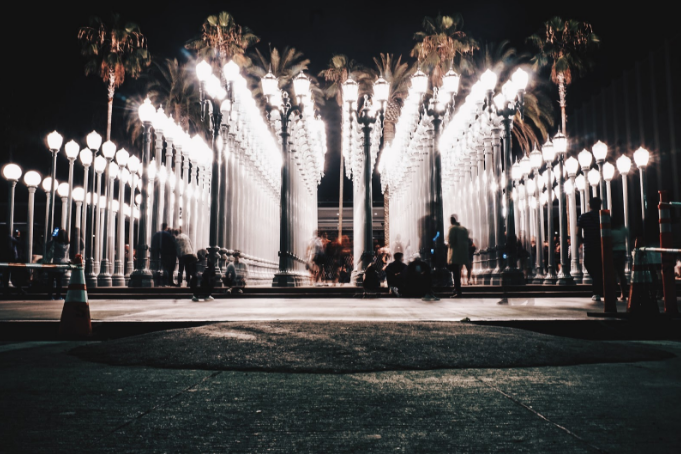 Take the rest of the night to relax, enjoy a drink or two, chat with locals, and enjoy the happening nightlife of L.A.
It’s amazing what you can accomplish with 24 hours in Los Angeles! Even if you don’t have the opportunity to enjoy all of these activities, try to choose a few that will make your time in LA stand-out. We have no doubt you’ll have noted a few ideas of places you’d like to return or to take clients, friends or family. If your organization is traveling to the Golden State and would like help to make the process more efficient, or even how to spend an extra 24 hours in Los Angeles, drop us a note today. © 2019 Worldgo Travel Management Ltd. All Rights Reserved.